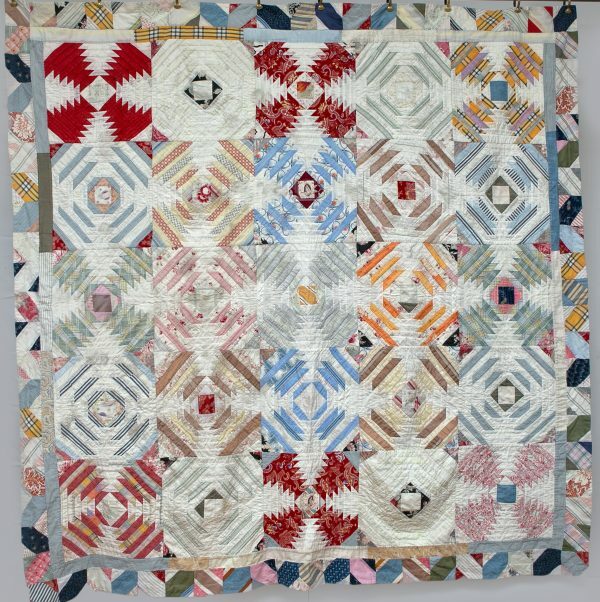 Exceptionally rare and visually stunning Victorian Quilt. Originates from Northern England. 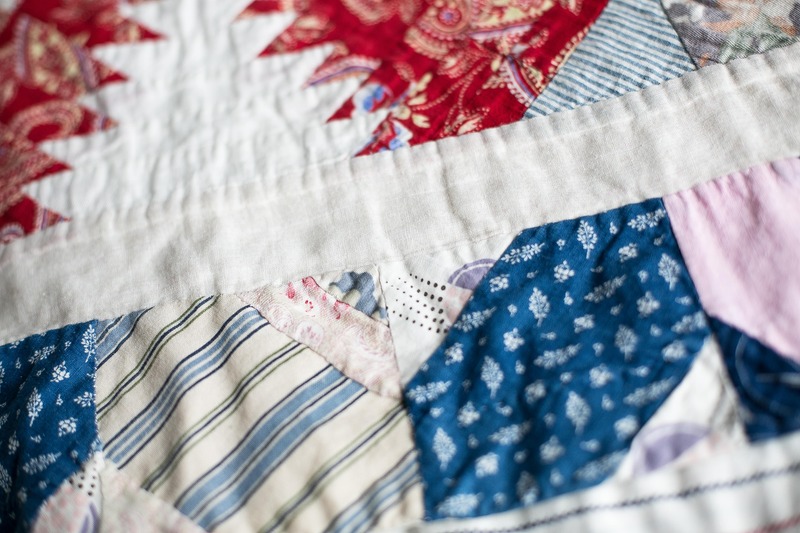 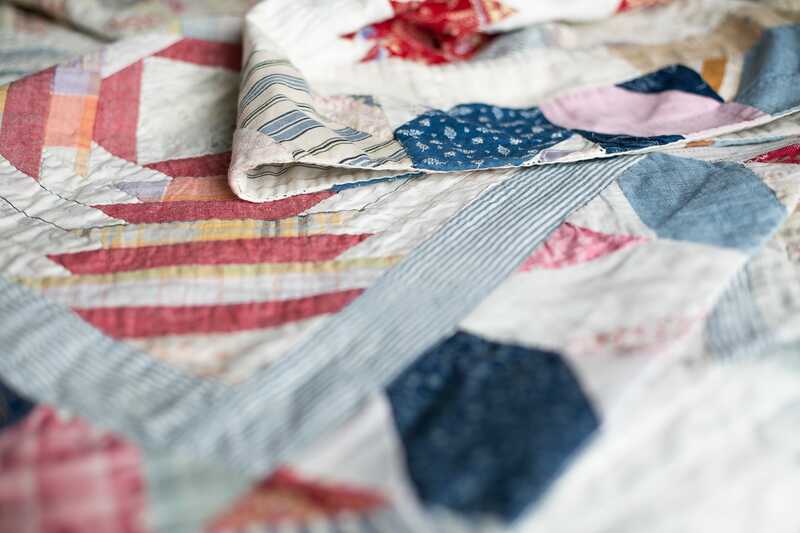 An intricate variation on the Log Cabin patchwork design. 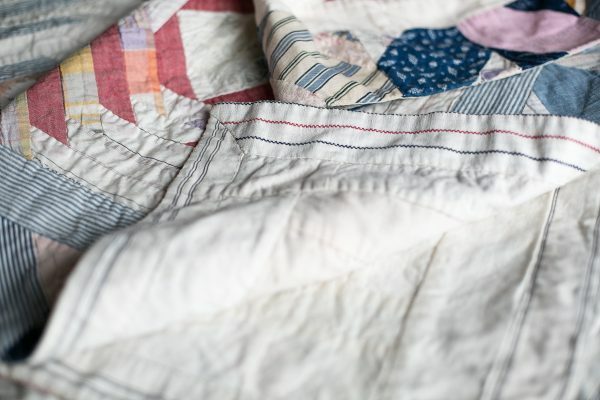 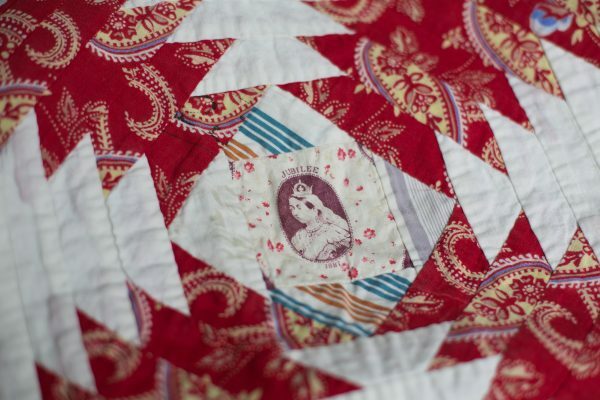 What makes this quilt so special is the inclusion of two patches featuring a printed image of Queen Victoria, which would have been made in celebration of her Golden Jubilee in 1887. 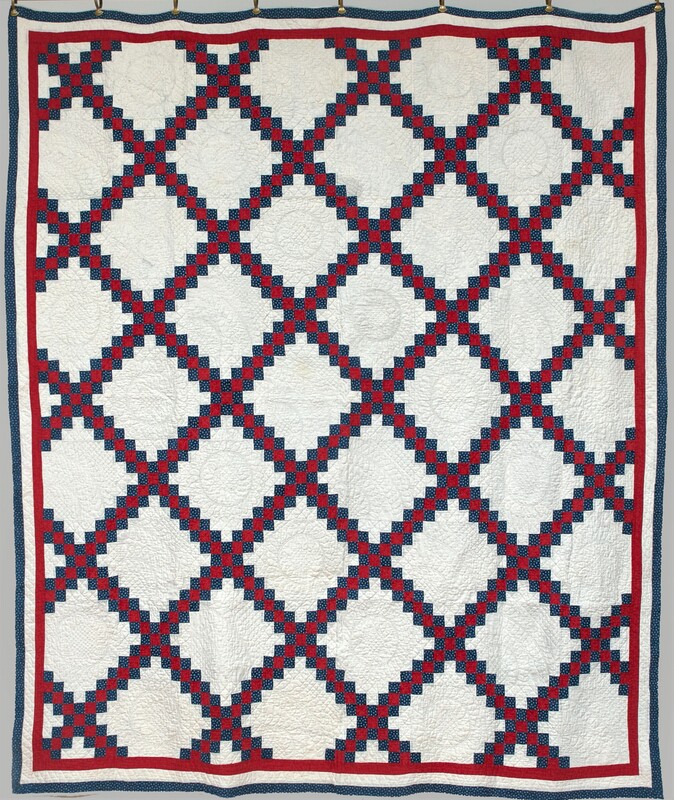 Each block individually backed with plain cotton and then joined together. 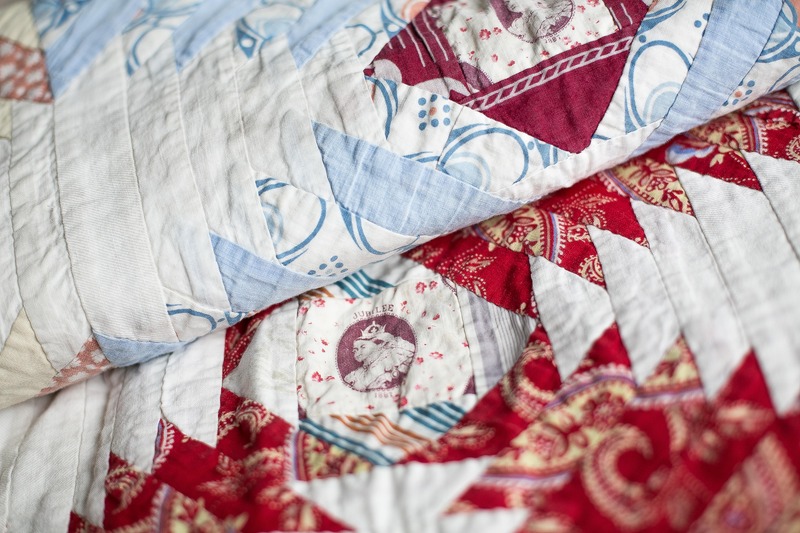 No filling and no quilting over the patchwork. 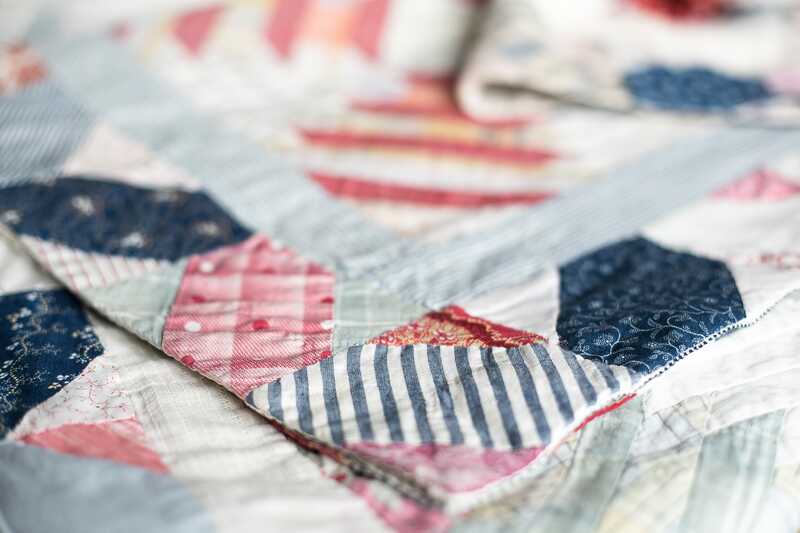 Features wonderfully diverse Victorian fabrics of a variety of colours and textures, including old dress and shirt fabrics and other domestic remnants. Very good condition. Approx. 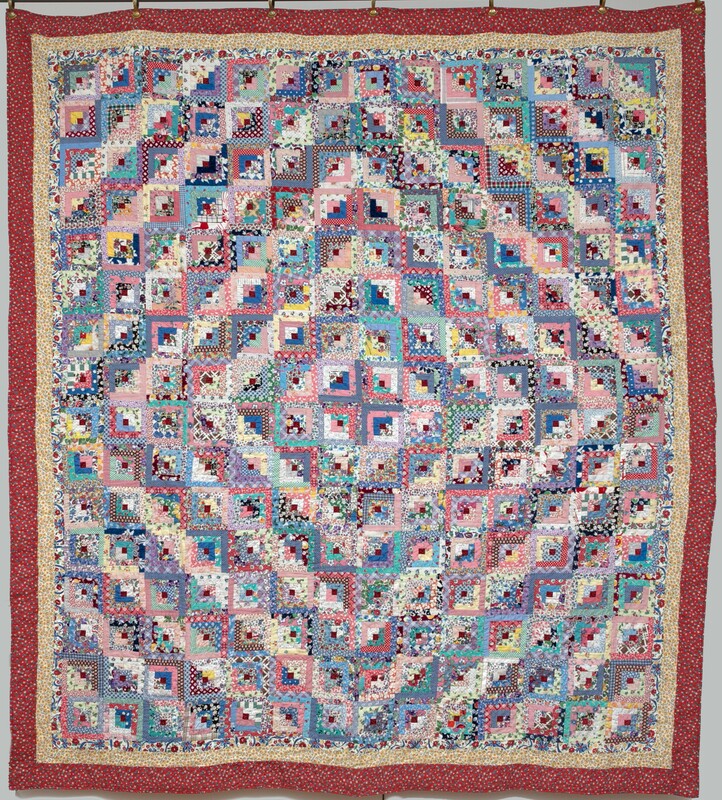 78 ½ x 80 ½ inches/ 199 x 204 cm.